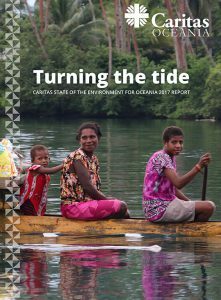 WelCom November 2017: On St Francis Day, 4 October 2017, Caritas Aotearoa New Zealand presented its fourth annual State of the Environment for Oceania report, Turning the Tide. 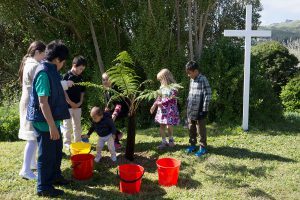 Launched at Te Ngākau Tapu Church in Porirua, this year’s report focuses on our changing relationship with the ocean. It was observed that now is a moment in history when events coincide to produce an unstoppable momentum. 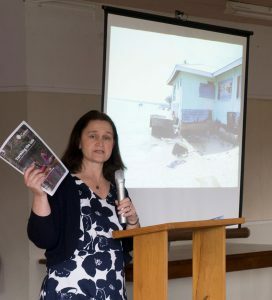 In her presentation to gathered tangata whenua, local dignitaries, partners and supporters, Caritas Director Julianne Hickey spoke of the organisations hopes for the new government’s stance on environmental issues. Chapter three of Turning the Tide concerns proposed offshore mining and drilling in Oceania. Caritas Papua New Guinea partner, Patrick Kituan, reflected on the legislative process around this. ‘Where the full impacts of new environmental activities are unknown, the precautionary principle and protection of the environment must take priority,’ he said. Mrs Hickey asked for a moratorium on all seabed mining, ‘because we need to ensure there is adequate research behind environmental-related decisions and informed consent from communities prior to any activity, exploration or otherwise’. 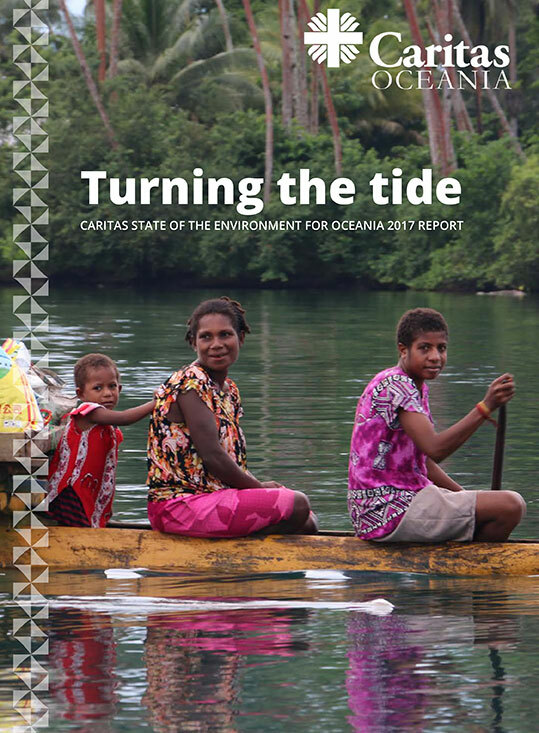 The report also highlighted signs of hope such as the establishment of a new solar- and wind-power project spearheaded by Caritas in partnership with: New Zealand company, Powerhouse Wind; the Bishop Koete Rural Training Centre, Solomon Islands; and the New Zealand Government’s Ministry of Foreign Affairs and Trade. The Rural Training Centre had previously spent a sizable percentage of its budget on diesel for electricity. Now the clean energy is powering the entire facility both day and night. Caritas Aotearoa New Zealand will join the international Caritas delegation at the 2017 United Nations Climate Conference in Bonn, Germany, 6‒17 November, chaired by Fiji. Mrs Hickey will present the findings from Turning the Tide there. Turning the Tide is available by email at caritas@caritas.org.nz or go online to www.caritas.org.nz/state-environment to download a copy. The Turning the Tide launch began with a karanga and mihi whakatua at Te Ngākau Tapu Church, Porirua. Mons Gerrard Burns, Te Ngākau Tapu parish priest, board member of Caritas Aotearoa New Zealand and president of Caritas Oceania, led the opening prayer. Karakia, readings and Hīmene reflected the environment, connections to St Francis of Assisi Day and Pope Francis’ Laudato Si’. Deacon Danny Karatea-Goddard welcomed and acknowledged manawhenua of Ngāti Toa Rangatira. Deacon Danny, along with Kaumātua, Sir Matiu Rei, CEO, Te Rūnanga o Ngāti Toa Rangatira, blessed The State of the Environment Report for Oceania 2017. Following the blessings, in the neighbouring Tū-Hono Hall, Rose Sawaya, Principal Bishop Viard College, Porirua Mayor Mike Tana, local MP Kris Faafoi, Mons Burns and Caritas’ Murray Shearer offered greetings to everyone. Caritas Aotearoa NZ Director Julianne Hickey presented the new report. After discussing the report, everyone was invited outside for the planting of a new fern representing new growth. The launch closed with shared refreshments.